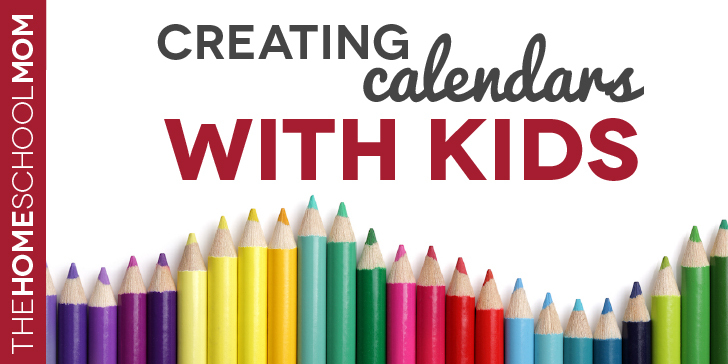 A great project for the New Year is creating a calendar with your little ones. I’m talking about making a calendar the old fashioned way, using fresh heavy art paper and your favorite combination of markers, colored pencils, oil pastels, or other media. I first got this idea from the Oak Meadow first grade curriculum, a Waldorf-inspired curriculum which I loosely followed from time to time and adapted for other ages as my family grew. The four-to-ten-year-old set can often readily be attracted to creating this kind of family calendar, which provides numerous opportunities for learning. 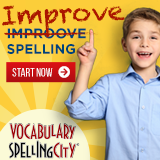 Depending on the age of your kids, you can start off with paper that you have already marked off into seven columns for the days of the week, along with six rows. You’ll want a separate sheet for each month of the year, but I recommend having plenty of extra template pages, so there are plenty of pages for experimentation. You may be able to teach older children how to mark the grid lines themselves, but you don’t want to frustrate the younger ones if the task is over their heads. I didn’t use computer generated templates for this particular project since I wanted all the work to be done by hand for a more organic effect. Writing the month names and days of the week on each page of the new calendar is good copy work for those who are perfecting their printing skills. This process also helps solidify the order of the months and days, a common bit of social studies knowledge for the early years. Adding the numbers to the squares to create dates is good practice for children who are solidifying their counting skills and learning how to write the number symbols. For those who learned how to write numerals during the fall months or during a previous year, creating a calendar gives them a practical application for the skill–they can see that being able to write numerals is useful. For those who have learned how to create the numerals 0-9, copying calendar dates into the squares can be the beginning of understanding how “the tens place” works by using the same symbols to create more numbers — 10 – 31! Most fun is decorating each month according to the season or the predominant holiday for that month. January gets snowflakes, February gets hearts, March gets wind or depending on the year, Easter eggs, — and of course there are April showers and May flowers. You can emphasize the holidays, traditions, or special occasions that are important to your culture and your family, and make that the theme for the month. I always left a lot of header room at the top of my paper and around the margins for artwork, and I encouraged the use of beeswax crayons and pastels so these drawings would be soft and expressive. Colored pencils can be used to add detail. Of course, marking family members’ birthdays on the calendar in a significant way is something kids get excited about, and it helps them look forward to their siblings’ and parents’ upcoming birthdays once the calendar is in use. This can really help kids get a handle on how “dates” work. Rather than setting this task for the kids as an assignment, I urge you to collaborate with your children on the calendar pages. Sit down at the table with your art supplies and begin work, drawing the kids into the project because it is interesting and pleasant. Don’t push for very young children to do more work on the calendar than they are enjoying in a day. Creating the twelve months of the calendar might take the first several weeks of the year, working twenty minutes to an hour a day, depending on your children’s ages and abilities. Other families with slightly older children or an especially focused child might finish this project in a day or two. Try to let the children set the pace, perhaps including a cup of tea or hot chocolate and a lit candle on the January table to create an earnest and contemplative atmosphere. Remember that children who are just learning numbers and letters are apt to make mistakes; have a wide tolerance for this imperfection, and let the project move along. Remember that childish printing will add character and grace to the calendar; your children will naturally want to improve their work and emulate adult writing over time — everything does not have to be “corrected” and “perfect” to be appreciated. Add your own touches to the calendar in a way that is sufficient to give leadership and a sense of camaraderie on the project, but resist the temptation to take it over and make it a Mom Project worthy of Pinterest. Allow the children to feel that their contribution is a driving force in creating the calendar. At the same time, if your children seem to welcome extra help so the project won’t be bogged down, don’t be reluctant to do enough to help them complete the calendar — just don’t take it over with your own style or perfectionism. Talk as you create the calendar pages. Tell stories about how the days of the week got their names — did you know that the weird spelling of Wednesday is because it was originally called Odin’s Day? That Thursday was Thor’s Day? With a little bit of delving into Wikipedia and some library books, you can create rabbit holes of interest that will fascinate your children. One book our family used over and over when we repeated this project was The Story of Clocks and Calendars by Betsy Maestro and Giulio Maestro. I kept this book on the table as we worked, and we often referred to it if questions came up about the history of the calendar, and I also made it a regular read-aloud during the month of January. Older kids are fascinated by questions of time, how the months got their names, and how different civilizations have created calendars — and yet here we were making a calendar on our own table right here at home! Where did the “system” of “calendaring” come from that we were following? As homeschoolers, it’s also fun to note the school year calendar and discuss why our family does or doesn’t follow the same calendar, and that in any case, we often get a special “Not Back To School” celebration in September. Once you get all your calendar pages made–during generous doses of conversation and rabbit holing– help your children bind the pages together in order. You can staple them or use a hole punch and yarn or rings. Then display the calendar in a prominent place in your home — on the fridge or on the wall in a can’t-miss-it spot. Make a big deal of turning the page as new months roll around and of looking ahead at upcoming seasons and holidays. 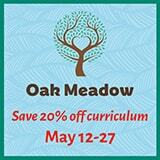 This gives your children an opportunity to reflect on their work not only as aesthetic but also as informative. Many kids really marvel that their drawings, done so far in advance, actually reflect what is really happening in their world later — and it really does feel like a lot later to them. What a powerful set of ideas their writings and drawings have conveyed! Yes, late elementary kids or middle schoolers might want to make a “perfect” calendar using a computer program, and high schoolers might be using Google calendar or another app in perfecting time management skills to balance their studies, their activities, and a part-time job. Yes, budding photographers might want to use a photo site service to create a photo for each month in a commercially printed calendar. All these are rewarding. However, for little ones, nothing beats creating a slightly crinkled homemade calendar, with hand-drawn pictures of leaves drifting from trees at the top of October and fireworks bursting off the page in July — all created during the short wintery days of January. Your hemisphere, your country, your family culture, your religious traditions, might mean the calendar you create with your children will be different, but the process can still be a warm and meaningful way to kick off learning during the New Year. Ahhh, calendars – a necessity for every homeschooler. Love the tips and ideas.